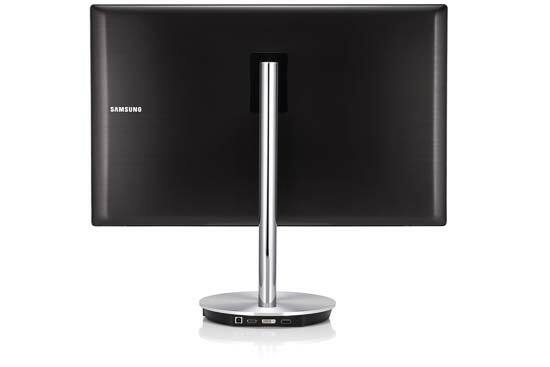 The new Samsung Series 9 S27B971D is a premium monitor targeted at photographers and other imaging professionals. 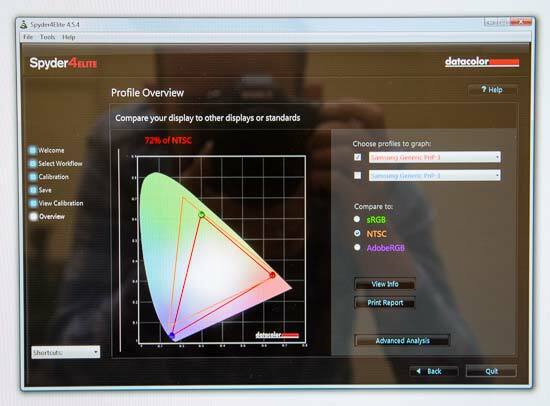 The 27-inchwide monitor is individually colour calibrated at the factory and comes equipped with an advanced PLS panel with a wide viewing angle of 178 degrees and a resolution of 2560x1440 pixels. Importantly for photographers, it also has a non-reflective matt display, rather than the glossy version of last year's S27B970D model. 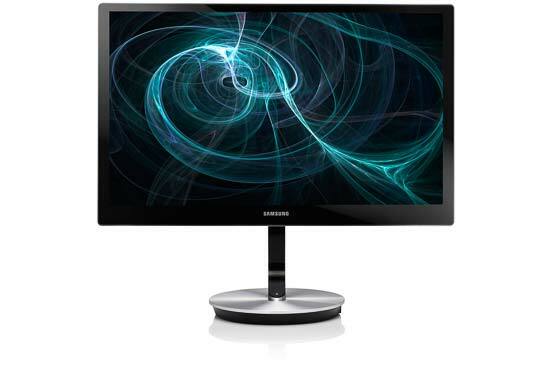 In the USA, the Samsung Series 9 S27B971D monitor costs $1199.99, and in the UK it retails for £849.99. 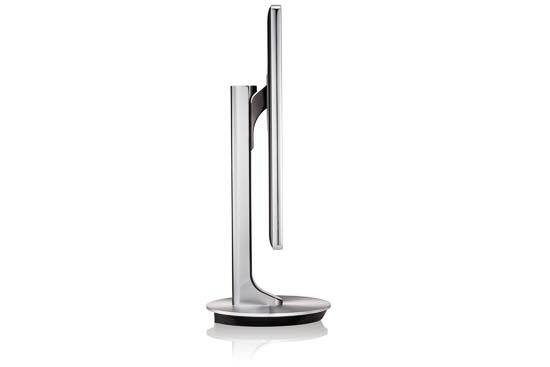 The Samsung S27B971D boasts the same stunning design as its predecessor, with a two-tone silver and black colour scheme, rounded base and height adjustable stand. 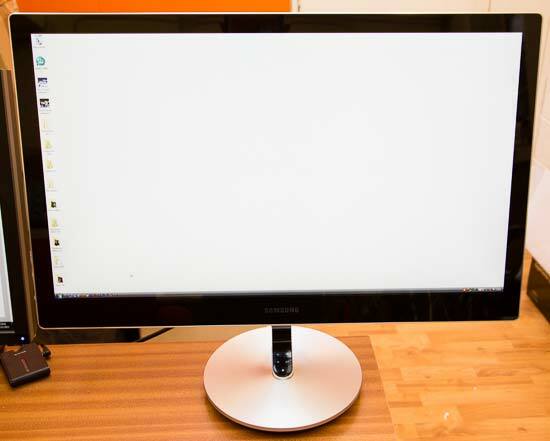 Note that it still can't be placed in a portrait orientation, though, only vertically, with many rivals offering the ability to rotate the display in both orientations. 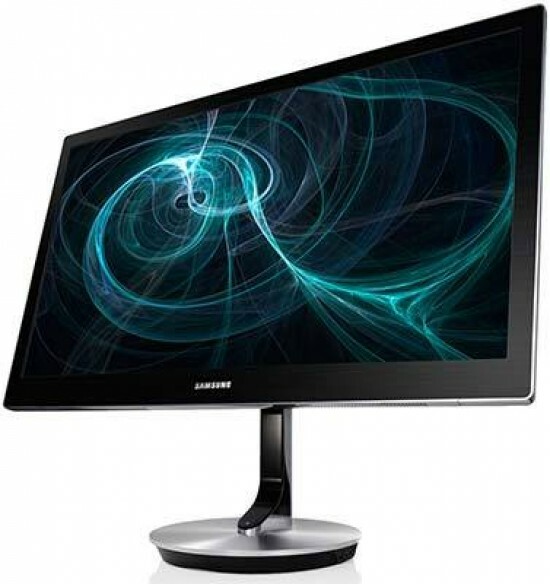 The 27-inch display boasts a WQHD resolution of 2560x1440 pixels, four times the resolution of HD (720p), making it well suited to running multiple programs and windows side-by-side. 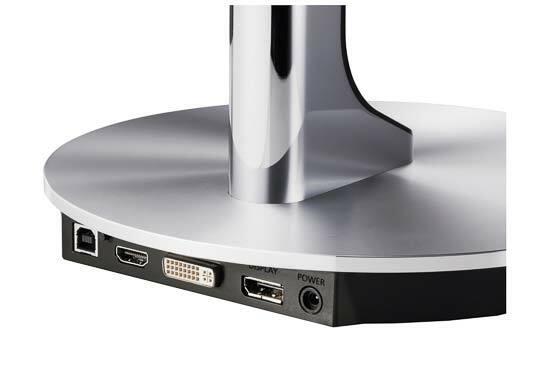 The Samsung S27B971D's connectivity options are mostly located on the rear of the stand, with ports for power, DVI, HDMI, DisplayPort, and USB from PC, as well as two downstream USB ports positioned on the side. 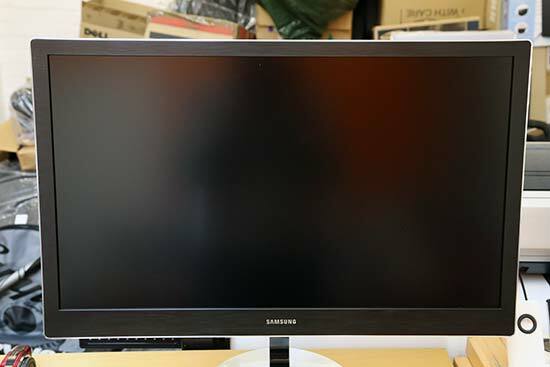 As you can see in the photo below, the Samsung S27B971D has a matt display, rather than the previous model's distracting glossy display, which makes it much better suited to life as a a photographer's monitor. 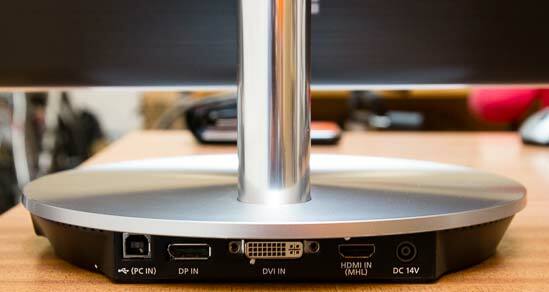 In a market where glossy displays are very much in the majority, it's nice to see a matt monitor being released. 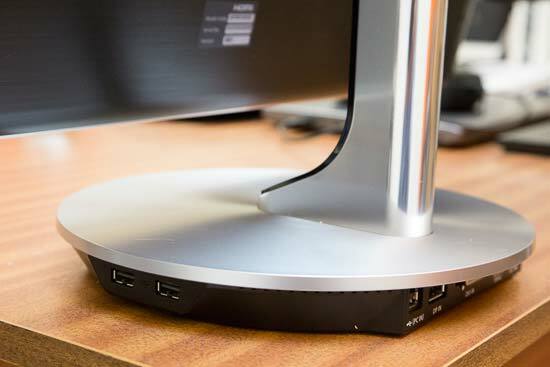 On the front bezel of the bottom of the height-adjustable stand are an array of soft buttons for controlling the monitor's configuration, which glow white when in use and fade away when idle. 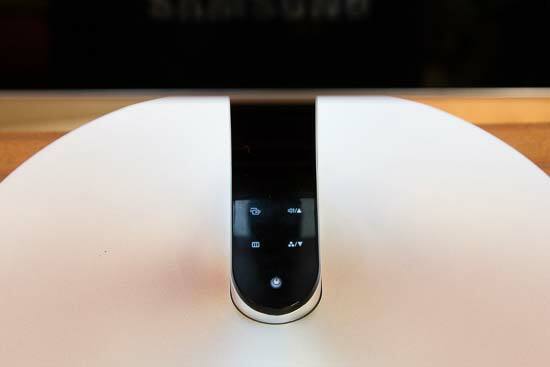 There's an Enter button, a Menu button, and up and down navigation buttons that double as volume and preset shortcut buttons, plus a power in the bottom-middle. 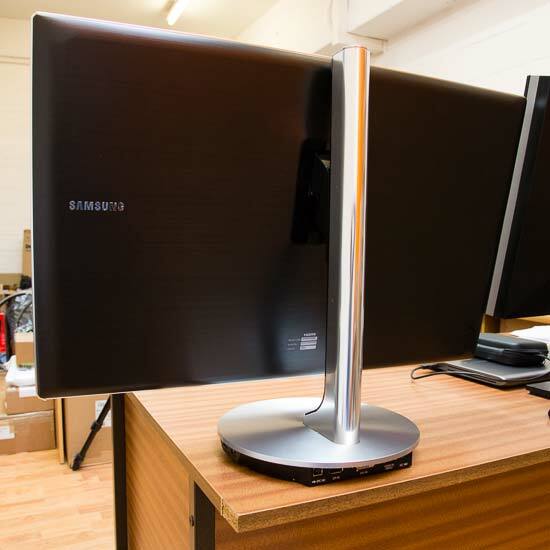 They are a little on the small side and more difficult to use than most other monitors, especially when the stand is lowered right down. 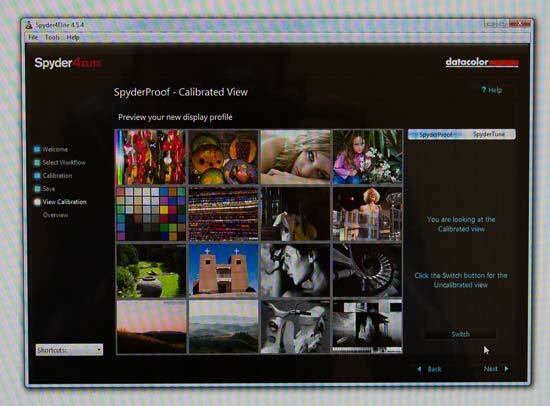 There are five different monitor presets - Standard, High Bright, Cinema, sRGB, and Calibration - plus Brightness, Contrast, and Sharpness controls and Red, Green, and Blue adjustment options. You can also adjust the response time, gamma, and choose from 13 different color temperature settings. 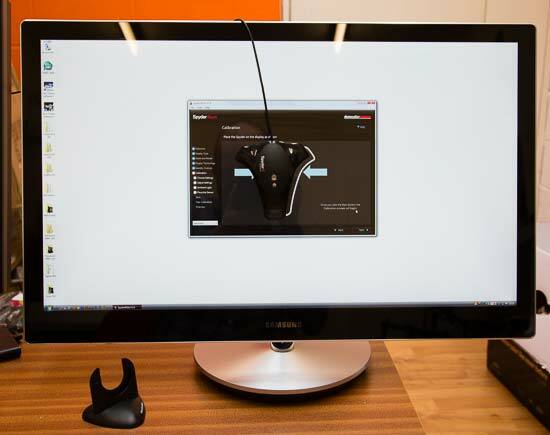 We calibrated the Samsung S27B971D with the Datacolor Spyder4 Elite, a mid-range calibration device. The before and after results showed very little difference, which indicates that the factory calibration is accurate and the built-in Natural Colour Expert software works well. 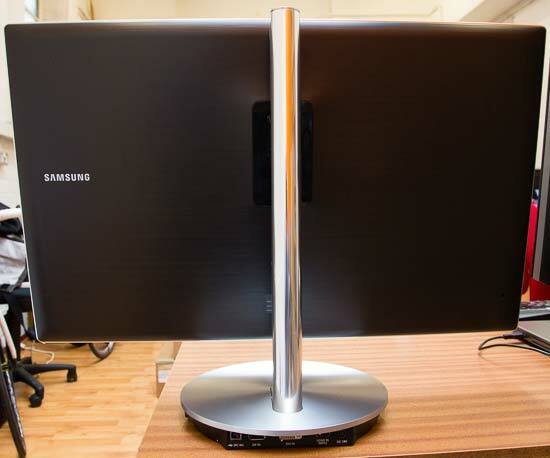 The Spyder4 Elite results also confirmed that the Samsung S27B971D covered 99% of the sRGB colour gamut, 77% of AdobeRGB and 72% of NTSC, making it well suited to life as a photographer's monitor.